Unlike most other trout fisheries, Thornwood Springs is open all year round due to a combination of deep pools and oxygenation technology. In light of this our ticket pricing structure may seem more complicated. If you have any questions, please contact us as and we’ll explain how it works. Catch & Release: to preserve our fish quality, please ensure a quick release and do not remove fish from the water during the summer months. 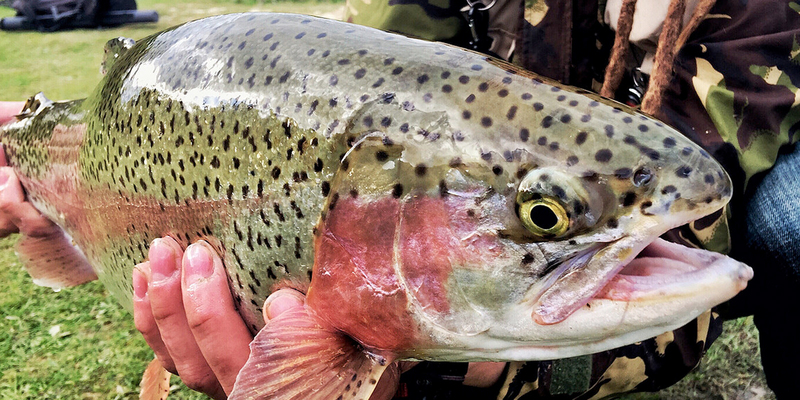 Catch & Keep: all rainbows under 6lb can be kept, however, any fish over this weight must be returned to the water. 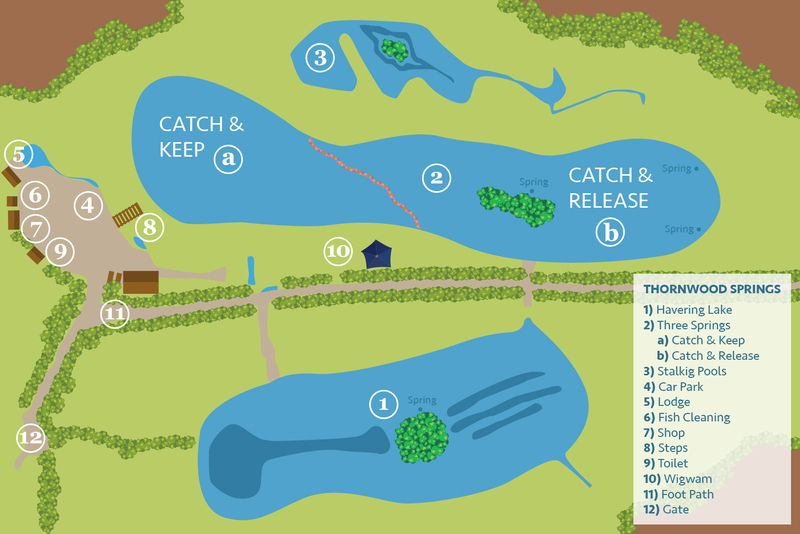 CATCH & RELEASE SUPPLEMENT (SEE MAP) – add a £10 supplement to your fixed-price ticket for Catch & Release in designated area. These tickets also include all-day Catch & Release once you’ve reached your ticket quota. Which lake do you wish to fish on?